God, S/He moves in mysterious ways. On October 7-9, 2016, I had the pleasure of speaking — and having my mind blown (! )– at the “Ancient Mysteries” conference at Edgar Cayce’s Association for Research and Enlightenment in Virginia Beach, VA.
My presentation, “The Essenes and Ascension”, featured my last several years research on these (mostly) Jewish mystics who, extraordinarily, claimed to be living with angels (celestial beings/’extraterrestrials’) who taught them how to transform their human flesh — in a FLASH!!! — into the celestial flesh of the angels. Radiant, luminous, shining, this ‘flashy flesh’ of the angels is composed of a rarefied ‘perfect’ spiritual substance that is as ‘real’ or ‘solid’ in the higher realms as our physical body is on the earth. Attainment of this ‘light body’ is the next step in human spiritual evolution. According to the Dead Sea Scrolls, the Essenes alienated themselves from the rest of society to ‘perfect’ themselves in order to prepare and make way for the visitation of a high celestial being and to lead a revolution in human evolution by transforming themselves into angels and the earth into a planet of righteousness. The scrolls reveal the Essenes were also obsessed with transforming themselves to be like their visiting angels and their state of being (in light bodies) in order to ascend to and enter a celestial city called Sion or the New Jerusalem. In Hebrews (12:22), we learn this place is inhabited by “angels gathered in joyful assembly and just humans made perfect. The Essenes sought to take their place at this family gathering of angels and perfect ones. It so happens that Hurricane Matthew was spinning toward Virginia Beach while I was there. I had no idea that coming on those clouds was a lightning strike of revelation and it was headed my way! I was excited to hear Cayce expert, John Van Auken’s, talk about Edgar Cayce and the Essenes. Incredibly, the great seer had provided numerous readings about the Essene teachings at least fifteen years before the Dead Sea Scrolls were discovered in 1947. In startling ways, Cayce’s dream-state readings about the Essenes matched what the scrolls said in detail after detail. In particular, I was intrigued by Cayce’s references to the Essenes and perfection which appeared on several of Van Auken’s slides. While at the A.R.E. I was given a tour of the vault containing Edgar Cayce’s original readings and other artifacts, including the gorgeous painting “Flight Into Egypt” (featured above). 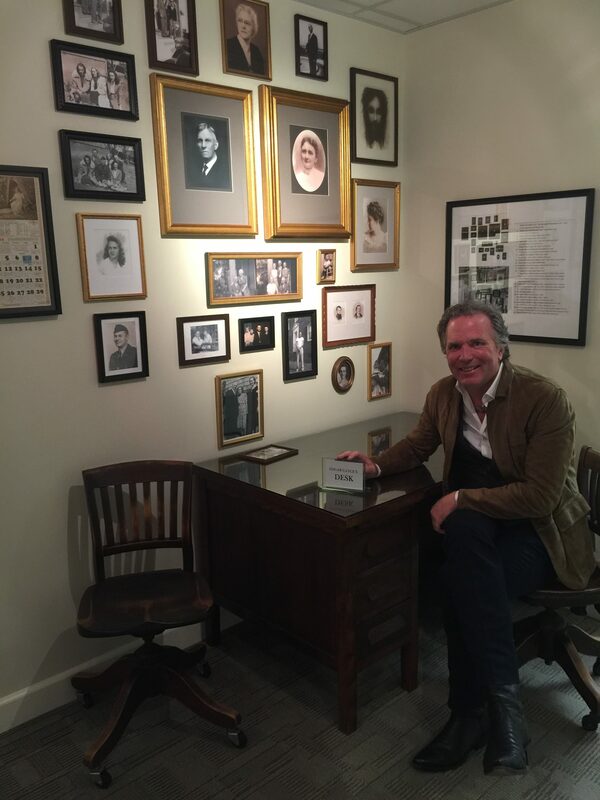 I even got to sit at his desk! A great souvenir from the A.R.E.! During my talk, I presented the research that led to my unique hypothesis that the Essenes living in Jerusalem and Alexandria Egypt c. 150 B.C. to 66 AD were practicing Buddhist Rainbow Light Body techniques referred to as the Great Perfection. The Tibetans teach that the Great Perfection was originally of extraterrestrial / cosmic origins and represents the highest form of enlightenment or spiritual realization on earth. The ultimate goal of the Rainbow Body practitioner is to accelerate the frequency of the body until it dissolves into five colored rainbow light, leaving behind only hair, toe and fingernails that have no nerves to be transmuted. The result is a new birth or rebirth into a luminous, humanoid body shot with gold and which emits rainbow colors. 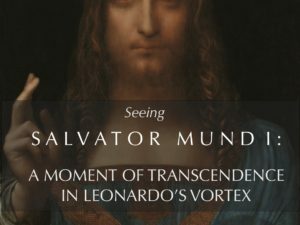 In a process that is as natural as a caterpillar morphing into a butterfly, practitioners ‘ascend’ in new perfect bodies of light matching those of the celestial beings. This ‘light body’ is known in virtually every spiritual tradition. It goes by many names, of which the Garment of Light, Robe of Glory, Beaming Garment, Star Body, Diamond Body, Body of Bliss, are just a few. What ‘called’ me to the Essenes was my discovery that they called their ‘research group’ the House of Perfection and referred to themselves as those who walk in the Perfect Way. Researchers have observed the link between Jesus’s ‘perfect’ rainbow Resurrection body and the Rainbow Light Body of the Great Perfection. 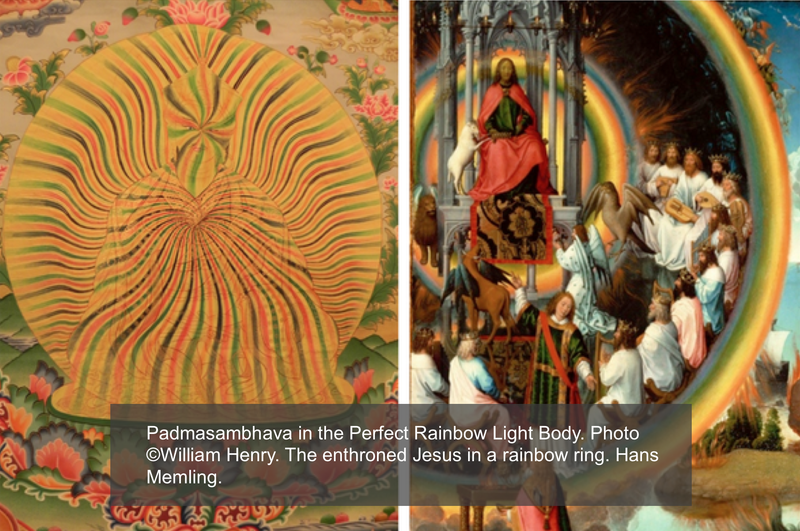 Side by side mages of the rainbow clad resurrected Christ with the Tibetan images of the Rainbow Body (as below) have been a staple of my books, presentations and TV shows since 2006. My three latest books have explored the sayings of Jesus that correspond to this body. As I listened to Van Auken’s talk, I had no idea that a (major!) 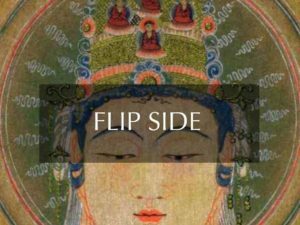 new piece to the correspondence between these images and the Tibetan and Christian teachings was about to slip into place. For years, I additionally have been linking the images of the Rainbow Light Body with those of the Seraphim angels. The highest order of angels, the Seraphim dwell at God’s Throne (in the celestial city, Sion), but routinely interact with humanity, including the Essenes, as discussed in the Dead Sea Scrolls and other documents. The Seraphim are the angels the Essenes sought to become. The ‘new bodies’ they sought are the same as the bodies of these beings. • and the ability to fluidly morph or change form and to shape-shift. This is why, in Christian art, the Seraphim are portrayed as humanoid beings with swirling, vortex shaped bodies covered with feathers. Are the feathers meant to symbolize flight, but also an energy field or waves of light emitted from these beings? I believe so. To me, the visual similarity between the Rainbow Light Body and the energetic bodies of the Seraphim is not a coincidence. I have proposed the Rainbow Body state and the Seraphim are same class of enlightened celestial beings. The Tibetans haven’t claimed this. Nor has the Judeo-Christian tradition. As far as I know, this is unique to me. I point this out not out of ego, but rather to alert the reader to the source of this link and in hopes that those ‘in the know’ will contact me with any additional references to support my hypothesis. As they were developed in corresponding Christian theology, Seraphim are beings of pure light and pure love and have direct communication with God. As noted, they dwell at the Throne of God. However, they don’t stay there. They can manifest in our world. In fact, the resurrected Jesus appeared to St. Francis of Assisi as a Seraph, demonstrating that the state of being of the Seraph is the same as the resurrected state of being. 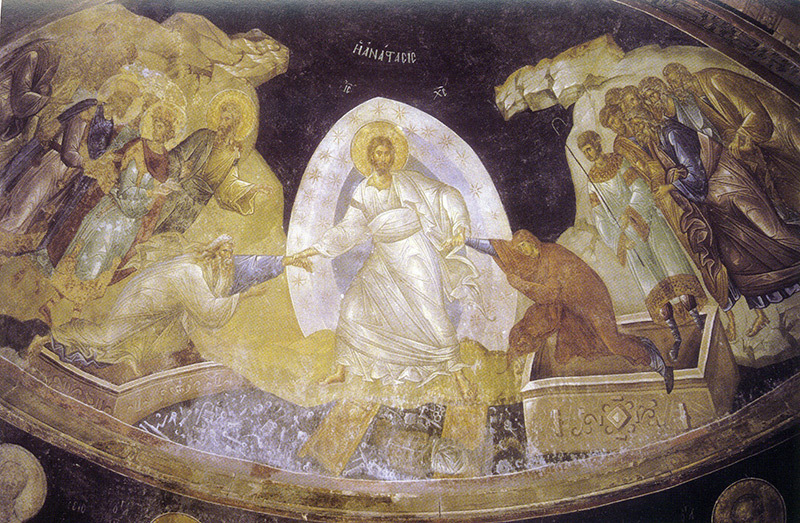 In the art of resurrection, which is derived from eye-witness accounts (John the Revelator, for example) Jesus is either seen with a rainbow around his body or with the body of a Seraphim. In my view, these bodies are the interchangeable or energetic phases of the same light body. 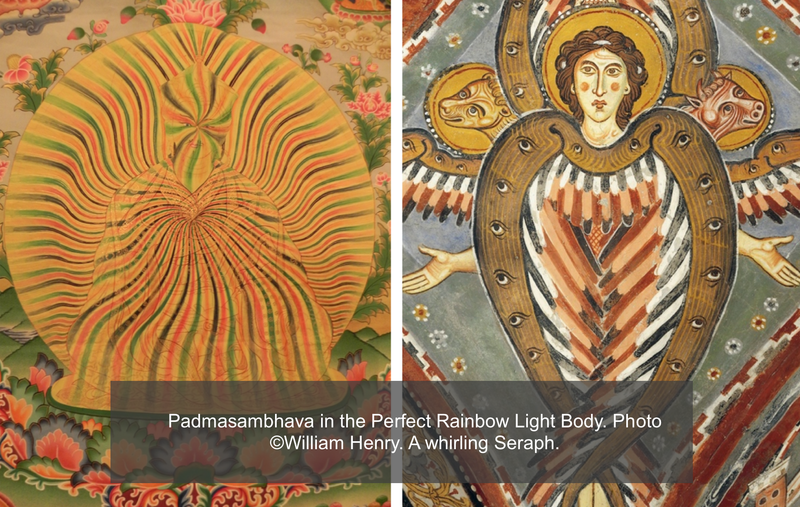 One, the Rainbow Body version, is a sped up version of the other (the Seraphim). This because these heavenly beings ‘slow down’ their frequency in order to be perceived by our earthly senses. 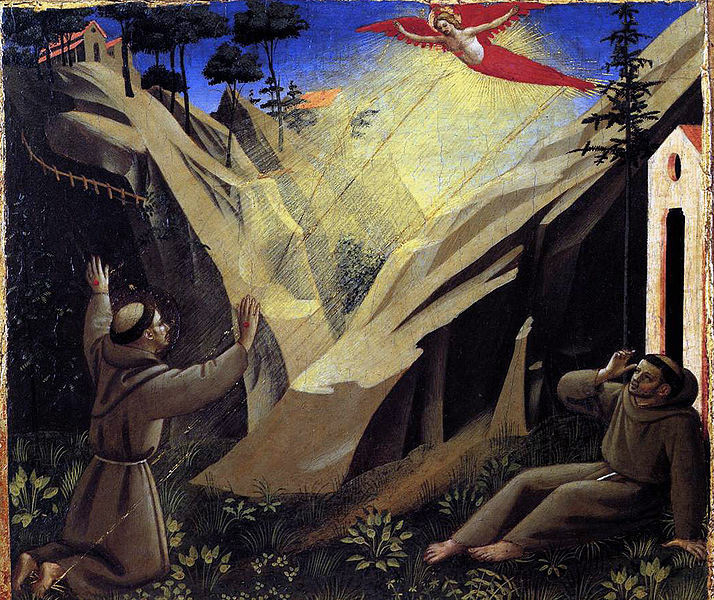 Jesus manifests as a Seraph to St. Francis of Assisi. For more on this remarkable contact please see my article Gentle Heart. As I discussed in my book, The Secret of Sion, Thomas Aquinas said the Seraphim have the quality of clarity, or brightness; which signifies that these angels have in themselves an inextinguishable light, and that they also perfectly enlighten others…” With the revival of neo-Platonism in the academy formed around Lorenzo de’ Medici in Renaissance Florence, the Seraphim took on a mystic role in Pico della Mirandola’s Oration on the Dignity of Man (1487), the epitome of Renaissance thinking. Pico took the fiery Seraphim—”they burn with the fire of charity”—as the highest models of human aspiration: “impatient of any second place, let us emulate dignity and glory. And, if we will it, we shall be inferior to them in nothing,” the young Pico announced. “In the light of intelligence, meditating upon the Creator in His work, and the work in its Creator, we shall be resplendent with the light of the Cherubim. If we burn with love for the Creator only, his consuming fire will quickly transform us into the flaming likeness of the Seraphim. “Models of human aspiration: “impatient of any second place, let us emulate dignity and glory. And, if we will it, we shall be inferior to them in nothing”, the young Pico announced. According to Renaissance thought, the Seraphim are a different type of human being, a fully transfigured one. Their ‘perfected’ bodies are immortal bodies of light and are therefore able to hold the highest frequencies of love and light. We can become Seraphim by meditating exclusively on the love of the Creator, say Renaissance thinkers. In other words, if we perfect ourselves. The Essenes believed exactly the same thing. I have proposed the angels the Essenes were living with were Seraphim and the celestial body they were teaching them about was the (or their) Rainbow Light Body. No other Essene or Tibetan scholars have made this amazing connection. This is because the scholars who have discussed the scrolls are usually specialists and have not gone out of the box to link the Essene’s concept of Perfection with that of the Tibetans, as I have done. Likewise, the Tibtan Great Perfection scholars I have read to not stray into Essene light body practices either. However, once the two spheres are entwined, as I have don, they become one. This premise is out of the box, but it did not come to me out of the blue. It arose out of the historical fact that Buddhist missionaries brought their teachings to the Essenes in Alexandria in c. 150 B.C, when the Essenes, as we know them in the Dead Sea Scrolls, were formed. 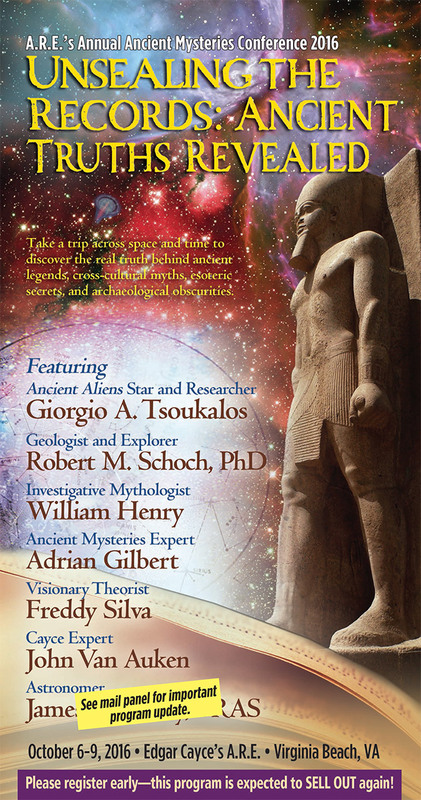 The historical background will be featured in my forthcoming book about the Essenes, the light body and ascension. My reading of Dead Sea Scrolls shows that they contain the proof of this interaction and the Essene practice of human transformation or transmutation into perfect light bodies. Their goal of attaining perfection is the core power pack and red hot coal of the Seraphim found in the scrolls. Taking this one bold step further, in my presentation, I showed how the Essenes were practicing this “Rainbow Body Resurrection”. This revolutionizes our understanding of the Dead Sea Scroll and the Essenes. I will have copies of this presentation available on the latest edition of my flash drive. The reason is because I am neither a Protestant or an Evangelical Christian, the two Christian movements who have done more than the other several hundred Christian sects to illuminate the mysteries of being “Born Again”. In Christian understanding, one is “born again” after one, proclaiming belief in only One God, two, being baptized in the Name Jesus Christ and then, three, following Jesus into the Kingdom of God. Thunder rolled for me during Van Auken’s presentation on Cayce and the Essenes when he mentioned Jesus’s teaching on the necessity of being “born again” to enter the Kingdom of God. It happened when I put the images I had shown of the resurrected Christ in the rainbow (body) together in my mind with the belief that he is the first “born again” Essene and Christian. I suddenly realized the Kingdom of God and the celestial city are the same state (of being). When the smoke cleared, I realized that to be “born again” means to attain the perfect light body or the Rainbow Resurrection Body. In my talk, I said that, according to the Essenes, the only way to enter the celestial city is to be dressed appropriately. That is, we must attain /wear the flashy perfect body of the angels and “just humans made perfect” who dwell there. This means attaining the perfect body has the same meaning as being “born again” into a body of spirit (light, love). I was blown away by the winds that followed this revelation and the simplicity and elegance of this match. Remember this Memorex ad from the 1970s? That was me putting the Rainbow Resurrection Body together with the Born Again body! Jesus taught the uninitiated Nicodemus, “Ye must be born again” (John 3:7) and made it clear that only by being born again can you see the Kingdom of God, let alone enter it. 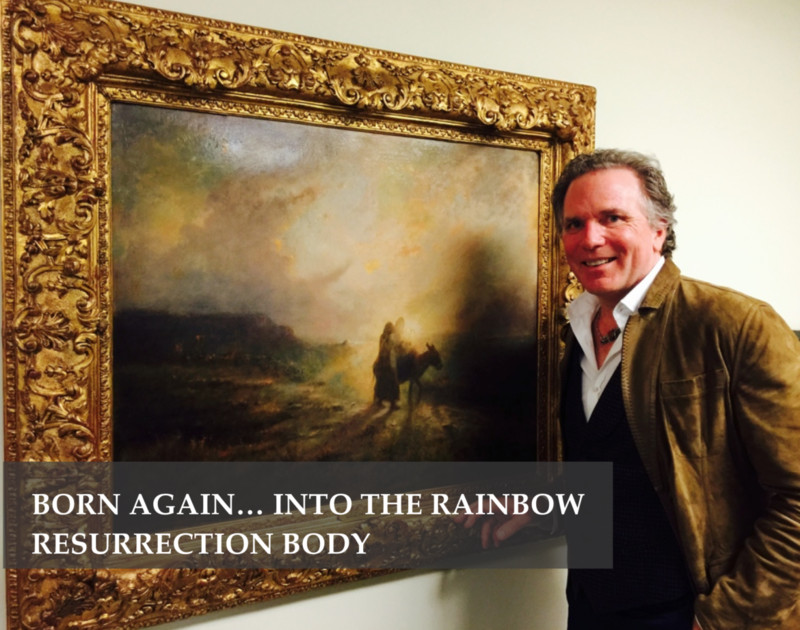 If the new Born Again body is the same as the body of the angels, it means Jesus taught that, in order to enter the Kingdom of God (the celestial Sion), we must be “born again”… into our Rainbow Resurrection Body. We receive this body by following him. As I take a look around Christendom, I don’t see too many Christians following, teaching, or demonstrating Jesus’s light body or perfection teachings. You can’t blame or judge them for that. Just google the words “star body” or “perfect body” and see what comes up in our contemporary imagination! As Jesus lamented, even Nicodemus, a religious leader of his day, had no concept of what it meant to be born again or to attain the perfect body! We find that the very same thing is true today. Many men and women who fill positions of spiritual leadership in our world have no real understanding of the light body or born again experience. Consequently, the term “born again” is one of the most (mis) used phrases among present-day Christians. Like the new age conception of “ascension”, if asked what the term born again means, most Christians likely could not give a clear explanation. We can see what Jesus was up against when, in his rebirth / resurrection, Jesus enacted or demonstrated the Essene perfection teaching of the transmutation of the earthly body into a heavenly body composed of celestial flesh. Christians would call this the plan of salvation and argue that Jesus authored this plan during his crucifixion, entombment/resurrection and ascension. The problem is the “how to” build the light body from this plan has been veiled in Christianity. Fortunately, the Essene teachings in the Dead Sea Scrolls unveil these teachings for us. Jesus spoke of perfection numerous times. In particular, in a conversation with a rich man about eternal life. The rich man told Jesus that he had always kept the commandments and wanted to know what else was required (like how much $?). The camel is a symbol of the human body and the material cargo the soul accumulates during is sojourn on earth. Jesus is telling the rich man that his earthly, material being and all that it collects on earth will have to be left behind or transmuted into a celestial substance. In other words, the flesh and blood body will not make it through the portal to the otherworldly realms spoken of by Jesus, but a soul clad in a light body or Garment of Glory can and will. Jesus is simply saying that our ‘stuff’ is not going with us when we enter the eye of the needle to the Kingdom of God. Jesus then told him, and here is the Essene Rainbow Light Body teaching, and the ‘punch line’ of this blog, “If thou wilt be perfect (holy, whole, complete), go and sell that thou hast, and give to the poor, and thou shalt have treasure in heaven: and come and follow me” (Mat. 19:21). In other words, Jesus is telling the rich man that if attains the perfect light body, and is “born again”, he has found earth’s greatest treasure. 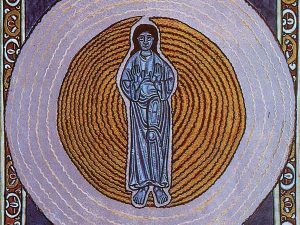 He then can follow him through the eye of the needle (or stargate) into the Kingdom of God where perfected humans dwell in bodies of light. Jesus in the ‘eye of needle’, a gateway filled with stars. He wears the bright white garment of light that symbolizes the Perfect Body. Jesus is referring to an episode in the Book of Numbers (21:8) in which the Israelites “Make thee a fiery serpent (literally, a seraph), and set it upon a pole: and it shall come to pass, that every one that is bitten, when he looketh upon it, shall live”. 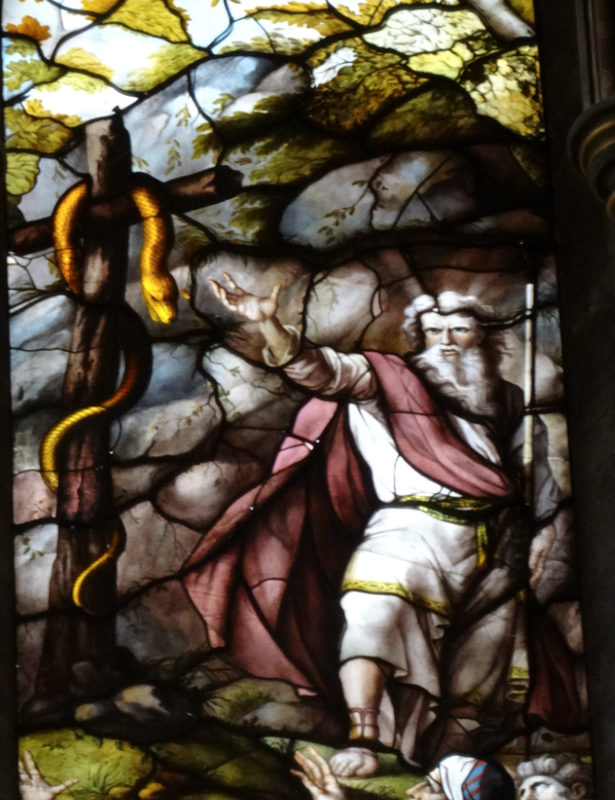 Moses and the Nehushtan, Salisbury Cathedral. The serpent lifted on a pole is called the Nehushtan, meaning the Brazen Serpent or Fiery Serpent. This last definition is mind blowing, as the Jewish Encyclopedia states Seraph means “fiery flying serpent”. The Nehushtan is the device (‘sign’, ‘symbol’, ‘seal’, ‘tool’, ‘appliance’), symbol or logo of the Seraphim! Jesus is referring us directly to it as the means to attain eternal life! A moment before he told us that LOVE was the key to eternal life. Oh wait. I get it! The serpent on the pole symbolizes the cosmic love within us that arises when we follow the commandments to “love with all our heart and love our neighbor as our self”! For me, this is a ‘proof’ or confirmation that Jesus was demonstrating the light body secrets of the angels, specifically the Seraphim. Again, transformation into a Seraph / Rainbow Light Body is the same as being Born Again. In some Christian movements (especially Fundamentalism and Evangelicalism), to be born again is to undergo a “spiritual rebirth”, or a regeneration of the human spirit from the Holy Spirit. As Jesus tells us John 3:3, no one can enter the Kingdom of Heaven unless they are in their born again body. The earthly body is born of flesh. The Born Again Resurrection Rainbow Body is born of a spirit, a higher vibration. That holy spirit is love. True love. 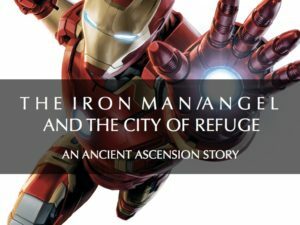 Interestingly, the Greek for again also means from above, suggesting that the power or spirit of regeneration comes from above…in in the stars, in the higher worlds. This means our Rainbow Body comes from and exists in a higher realm or in the stars, as the Tibetans teach. In Christian terms, being born again is the result of a secret act of regeneration (love) by God. A mysterious power or force, the Holy Spirit, transforms our flesh and blood existence in to spirit-filled body and state of being. The serpent on a pole is a symbol for the regeneration into a spirit body of the Seraphim. Again, they are considered the beings of highest love. Ezekiel is telling us that regeneration affects us as whole persons. EVERY part of our being — body, mind and spirit — is affected: “If any one is in Christ, he is a new creation; the old has passed away, behold, the new has come” (2 Cor. 5:17). The new Rainbow Body of Light, that is. Being “born again” is nothing less than receiving the actual body of Christ after his Resurrection and Ascension — the body of a Seraph or a Rainbow Light Body. In order to ‘attain’ it, Christianity teaches that his Holy Spirit actually enters us and brings our spirit (and its light body) to life. Our spirit is joined with Him” (1 Corinthians 6:17). We then become one with the perfect One. “It is no longer I who live, but Christ lives in me”(Galations 2:20). The mystery of being born again into the Light Body is now revealed, “that is, the mystery which has been hidden from the past ages and generations which is Christ in you, the hope of glory” (Colossians 1:26,27). The Holy Spirit that transforms us and “makes us new” is ever-present, but invisible in the life and teaching of Jesus. I hope this blog has shown that the “born again” body this spirit produces is the same as the Rainbow Body of Light and the body of the Seraphim. Jesus’s teaching about his light body is also ever present, and with this understanding, hopeful more visible. Jesus compares the mysterious force that regenerates us with the wind: Jesus says, “The wind blows where it wills, and you hear the sound of it, but you do not know whence it comes or whither it goes; so it is with every one who is born of the Spirit” (John 3:8). The Bible says that things which are visible are temporary but things which are invisible are eternal (see 2 Corinthians 4:18). In other words, those with born again bodies are living in the eternal everywhere, everywhen and at one with God. This is how the Tibetans define the Oneness of the Rainbow Body state of being. The Essenes were great scholars, researchers and practitioners of the most advanced spiritual teaching on earth. They said it came from the angels. It matches the Tibetan light body teaching they said came from the stars, meaning it is a universal teaching. It is my hope that my linking the Essene Perfect Way, the Tibetan Great Perfection and the Christian Born Again traditions is received today in the spirit of love and unity with which the Essenes received it two thousand years ago. Then, as now, the promise is the same. When we live from our light bodies we become a new being, a born again being in the here and (or the here and new). We live a life like those of the Seraphim, the Essenes and Christ. Filled with the supernatural power of the Holy Spirit we are able to do the same things they could do. I am thankful, once again, for the winds of Hurricane Matthew and the thunder of John Van Auken and Edgar Cayce that blew this understanding my way. William! Thank you for your brilliant revelations and tireless research… I am uplifted and inspired just tracking with your thoughts, and drinking it all in…. How totally cool that you were at A.R.E. as this most “perfect storm” hit as well -Bravo!! William, have you sat with any of the many channelers who have had Edgar Casey as a guest? so much more they have to share after they pass over, & they want to share with us as they know we want to hear from them. “Chewing the cud on this”, you’ve trained a brilliant light of understanding on the above, causing much to come into focus for me also,thank you again. intelligent men by the names of Gregg Braden and Dr. Joe Dispenza ? called Rainbow Body. Do you have a monthly newsletter? I would love to tell you about my experience in the spirit. I have been a Christian (well, not religious, but a believer in Christ) my entire life. Since I was a small child. I was baptized at maybe 8 or 9. Anyhow, I learned from a friend at that time (that God has removed from my life for good reasons as I look back now) how to meditate. I tried about 2 times and had zero success. Then on my third attempt, it happened! I didn’t even know WHAT it was or that it was even possible. In fact, I thought that meditation was simply for clearing ones thoughts and stresses of the day. But…. I was guided OUT OF MY BODY by the most loving, glorious, beautiful light I have ever witnessed in my entire existence. It helped me out of my body and led me into the next room down the hall. I was in the spirit, and on my bed physically at the same time. I could see both bodies at once! I should add here this light was gender-less. Neither male nor female. We entered the spare room where I normally meditated, painted, played piano, read, etc. Basically like a zen/meditation/creativity room. Once we entered that room, I could tell that because there were so many windows (that room alone had 6 windows) I could see the light refracting off of this being. It was as if I could see pure love, energy and PEACE eminating. It was like 1,000 sun’s, but not blinding to look at. As if someone took the brightest flashlight ever created and put it through a crystal. Light was refracting EVERYWHERE! Telepathically, this being (I say being, but I think an angel. Or maybe even God Himself!) asked me lovingly if I wanted to dance? I remember feeling so ashamed of myself and my dancing skills (I hadn’t really comprehended I was in the Spirit yet) that I meekly and quietly thought “No! No way! I definitely am NOT going to dance!” Primarily, because I knew I wasn’t worthy. However, THIS BEING HEARD MY THOUGHTS! We were speaking without words. As soon as I had those thoughts, it’s as if this being just “knew” what I wanted. It gently grabbed my hands (more like spirit hands, although I was a ball of energy too, so I didn’t have hands) and we swirled around the entire room so fast it would make anyone dizzy. It literally was like a whirlwind of light. Like a tornado of lights going around in 360 degree circles. This lasted about 20 seconds. It was the most fun, exciting, loving thing I’ve EVER experienced. In fact, the love that poured out while we were dancing was SO REAL, that I began crying in my physical body in the other room. Literally. Tears were streaming down my face as my limp body lay in the bed. After the short dance, wish I wish would have lasted an eternity, I heard ( telepathically) that I needed to spend more time in that room. That I have talent and I should be utilizing it. It was as if communication telepathically was MORE crystal clear than verbal communication! How awesome! The very next thing I know, I snapped back in my body. The entire episode from start to finish lasted less than 1 minute I think. It’s hard to know for sure since it was so complex. It definitely didn’t feel long enough. the love emanating from this light was PURE RADIANT LOVE! I can’t even begin to describe. I could do no wrong in It’s eyes. I was loved immensely. It’s like the love of your mother times 1.000,000! I got up, ran downstairs to tell my boyfriend (now husband) and he didn’t really know what to say. A lot of “uh huh’s”, and “Ahhhh..cool!.” ( To this day I still wonder if he believes me.) It was so amazing, I don’t even remember if I slept or not that night. I had love BEAMING OFF OF ME FOR WEEKS! I would say a solid 2 weeks, I had so much love for everyone! It was so cool! It’s the kind of experience most people try to find their entire lives. in fact, we have addictions to worldly things because we can’t fill the void until we’re BORN AGAIN! I truly believe being born again is coming OUT OF THE FLESH and INTO THE SPIRIT! Praise God! I’m chosen! You can be too. Please, choose Jesus! He chose you!